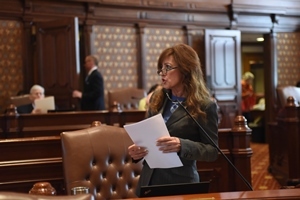 Senate Bill 100 provides that trustees will be elected at consolidated elections, rather than appointed by members of the General Assembly, beginning with the 2021 consolidated election. Current members of the Board can continue to serve until their terms expire, at which time an elected trustee will take their place on the Board. Trustees will be elected to staggered 4-year terms. The Board will continue to have five total members. Approved by the Senate Local Government Committee, the measure now moves to the full Senate for consideration.